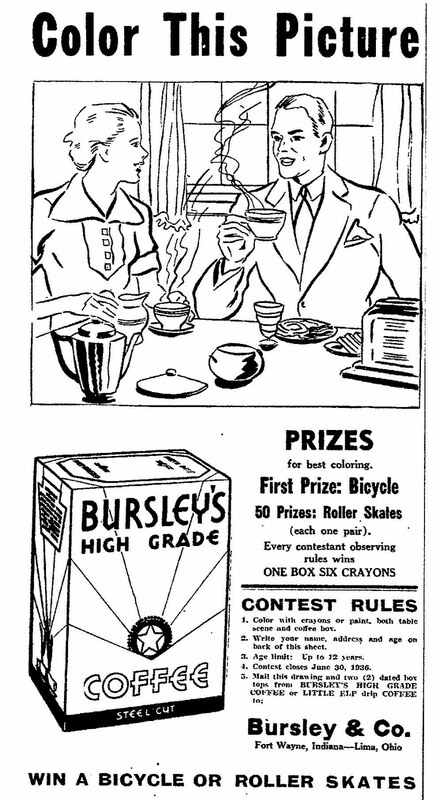 This ad for Bursley's Coffee appeared in an Ohio newspaper in June of 1936. Children had a chance to win a bicycle or roller skates. 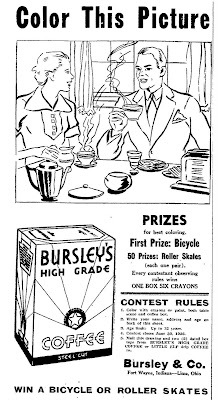 Every child that entered the coloring contest received a box of crayons.